The 25-year-old trained with his new team-mates for the first time on Friday after joining on loan from Barcelona until the end of the season. 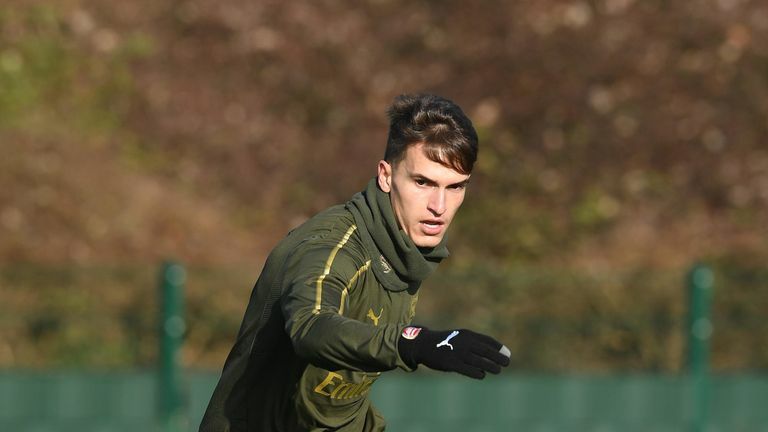 "If he starts [on Sunday] I have confidence in him," said Emery. "He has adapted very quickly and his qualities can help us but also his ambition, he wants to do something important here. It is a good challenge for him and for us. "The first thing is the language and he can speak English. Secondly he played for Manchester City's youth teams. He has then experienced playing in Spain with us in Sevilla, and he played in a Europa League semi-final with Villarreal against Liverpool. "He did not play for Barcelona's first team a lot of times but he helped there and played in the Champions League. "It is easy for him to adapt to playing for us." When asked what Suarez's best position is, Emery replied: "He can play on the right or left, or inside like a number 10. I am going to use him in all the positions in the attacking third." Emery dismissed suggestions that Suarez's arrival signalled the end of Mesut Ozil's Arsenal career, however. "No change," said Emery. "Suarez is coming here because we have a lot of problems with wingers." Suarez was Arsenal's sole signing in the January transfer window and Emery revealed the club had hoped to bring in three new players.